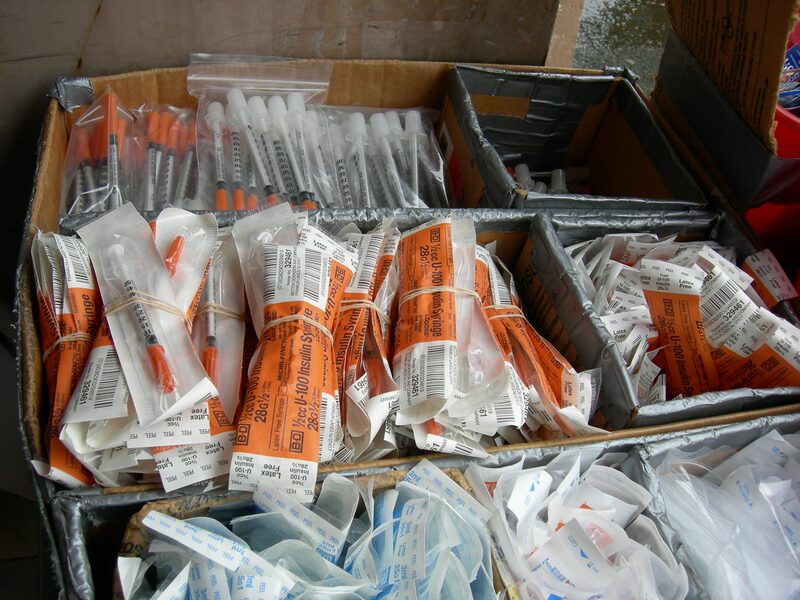 There are 100,000 fewer chances to come into contact with a discarded syringe, thanks to The Exchange Project – a partnership between the Cincinnati Health Department, Hamilton County Public Health, Interact for Health and the UC College of Medicine. This week, the program passed the 100,000 mark for number of syringes exchanged since the program began January 3, 2018. The Exchange Project is a component of a comprehensive bloodborne infectious disease prevention program designed to help prevent the spread of infectious diseases like HIV and Hepatitis among IV drug users. Rates for both of these diseases have been rising in Hamilton County, largely due to the sharing of syringes between users. Provision of naloxone, the overdose-reversing drug. Thursdays — 2:30-5:30 p.m.at Hamilton County Public Health, 250 Wm. Howard Taft, Corryville. For more information on the Bloodborne Infectious Disease Prevention Program, visit The Exchange Project on Facebook at https://www.facebook.com/hc.xchange; follow on Twitter at https://twitter.com/hc_xchange; or visit www.hcph.org.